You can colour them just like you do wool. 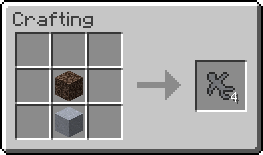 If you want to remove the color and bring them back to their grey, ‘doscile’ state, just put them in a crafting table with water (you can put one or eight in at a time). You can also make horses with a similar recipe. You can use clay, dirt, lapis blocks, and a few other things along with soulsand for a horse, or if you put a feather on top you’ll make a pegasus. Not too difficult or expensive, eh? Clay soldiers for your own amusement. Little clay dudes to help you build. The battles you can set them on are quite amusing. None. What else are you using that clay for? Download the Package Manager here.